I have to say I was inspired by Sarah's post yesterday so I decided to break these out. I agree it is hard to find time to do things for yourself but it is important to make time! Check out my Jamberry Nails. Addie woke up from her nap (which is almost non-exisitantat this point) and saw that I had painted my nails and asked if I would paint hers. I told her sure. Then this leftover piece gave me an idea. 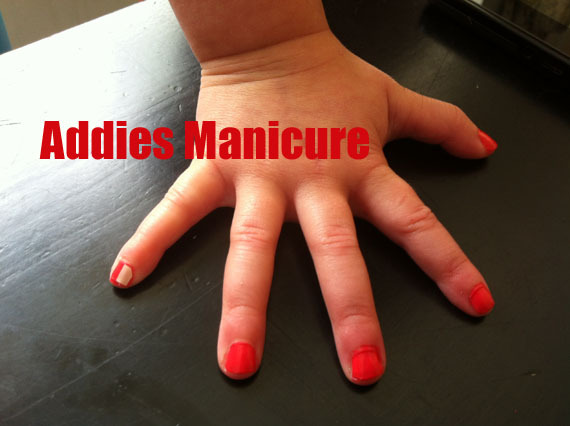 Check out Addie's fancy nails! 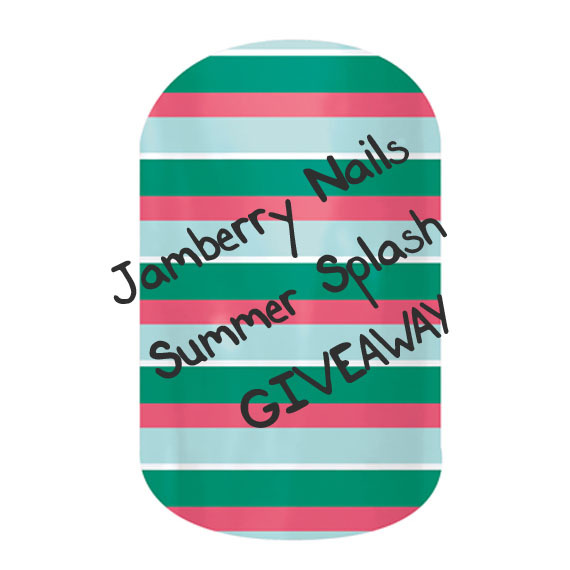 Win a half sheet of Jamberry Nail Shields in Summer Splash! What are Jamberry Nail Shields? Want to order some? 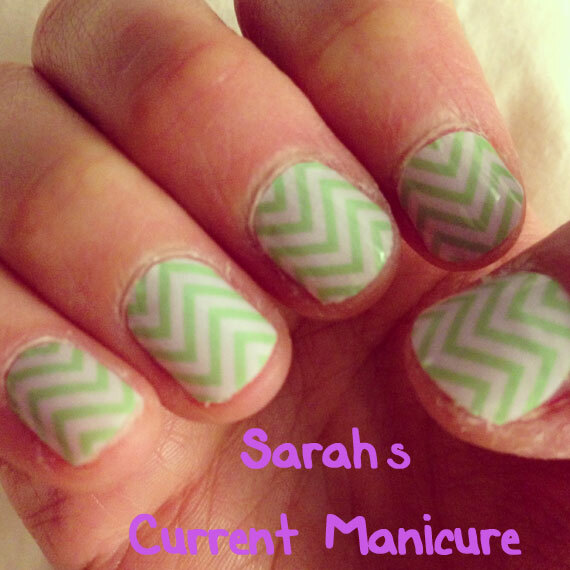 Check out www.sarahnak.jamberrynails.net! I wish I could be one of those people who did their hair and makeup every day and always look put together. I try my hardest not to look like a slob but, well, we all have our days! Put it this way, anything that can help me look put together is excellent in my book! One of my friends, Kristen, got me into nail polish. We love going out and seeing the new colors, going on hunts for ones we've see online but I find that the only time I can do my nails is right before bedtime which, those of you who have done that would know, it's not the best time! 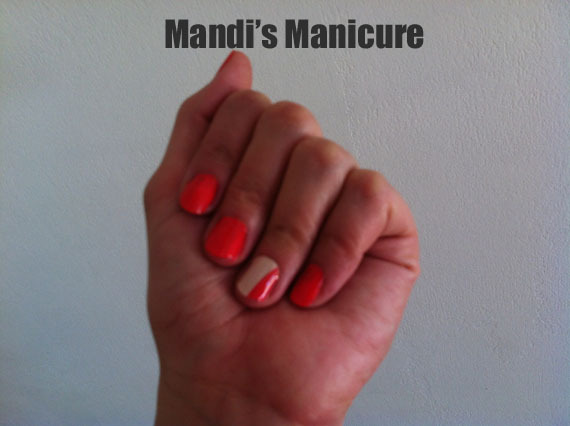 Even better is that you can get at least two manicures and 1-2 pedicures from each sheet! 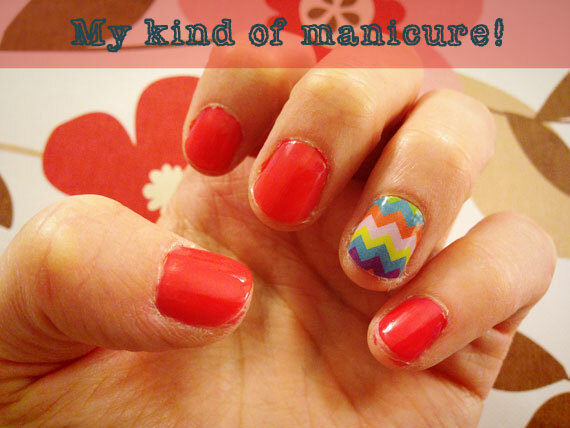 Also if you just do an "odd finger out" manicure (like the picture above) they will last even longer! My suggestion, if you decide to try them, is to watch some YouTube videos on tips for applying them. I read some reviews where people had some difficulty so I researched, learned their tricks and they went on pretty easily. I can see how it might be quicker with practice but definitely worth it! If you're interested in ordering they are buy 3 get 1 free! 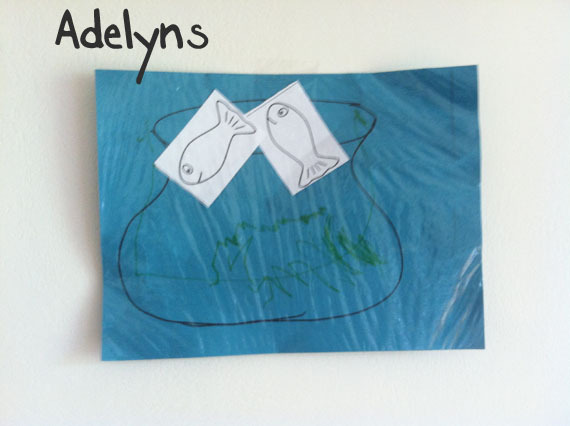 Adelyn and Simon made this craft at a class at our local community center. The idea came from one of the Associate Directors, Susie Shavelson. We have made (its a mommy and me class) a lot of cute crafts in the class over the last school year but this one was particularly cute so I had to share! 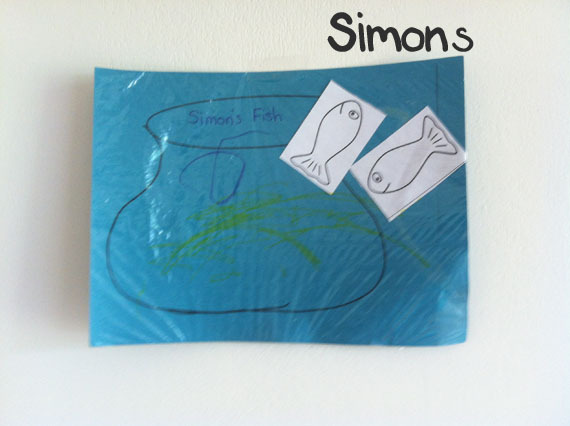 Susie printed fishbowls onto construction paper but you could just draw one on there it doesn't have to be perfect.Then the kids pasted fish that were already cut out onto the fish bowls then they colored them as they liked. Older kids could cut out their own fish. Then Susie wrapped the entire paper in saran wrap. 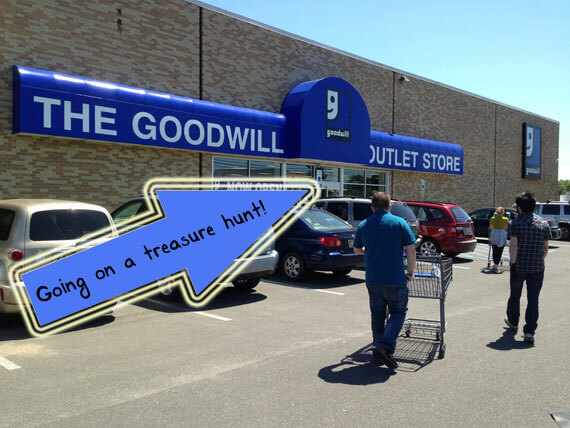 Yesterday we took a trip to the Goodwill Outlet. Yes, you read that right, outlet. I assumed that all Goodwill stores were essentially outlets where you can find gems for a fraction of the price, furniture to refurbish and lots of people's discarded knickknacks. Well thanks to Alan and Kristen, our friends that we went to the zoo with, we were enlightened! Alan and Kristen or, Kristen and AlanAndKristen as Simon calls them, frequent the Goodwill Outlet. We often Skype in the evening and they show us their amazing finds such as an authentic Coach bag, WW2 Army helmet, nearly new carpet shampooer, silk scarves and cashmere sweaters. I think the store takes all the items that the regular Goodwill stores haven't sold (I'm not 100% sure, not much info on it!) 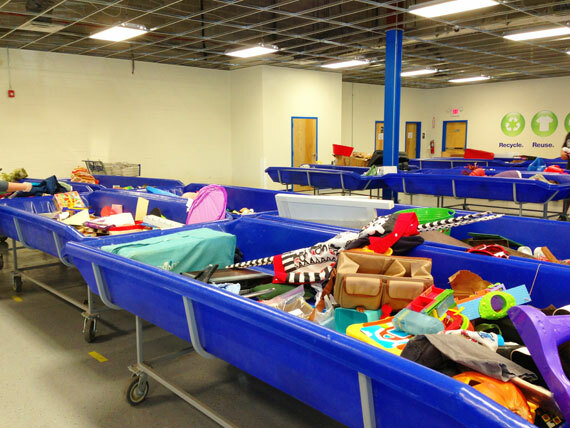 They place the items in huge bins that you can look through and it's sold by the pound, 99¢ per pound to be exact! Throughout the day they switch out the bins while people stand around ready to hunt. They literally say, "One, two, three, GO!" and people rush the bins and dig. We spent about two hours there treasure hunting. 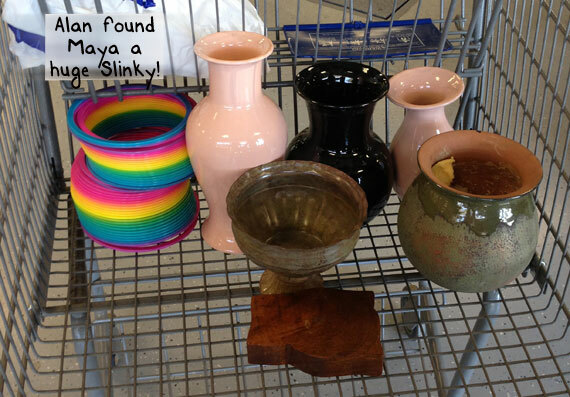 I found a bunch of vases that I'm going to spray paint to put on our family room mantle which currently has NOTHING on it! I was on a hunt for an old suitcase to use for a night table I want to make for Simon's room...I guess I'll have to go back! 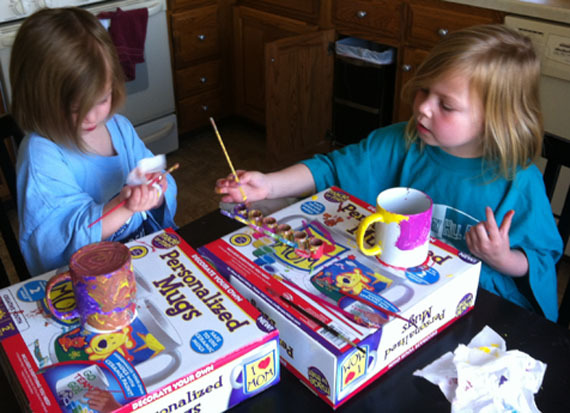 My friend Janeen recently came to visit us and she brought the girls these paint your own mug kits. Each kit came with two mugs, one brush, and ceramic paint. The box label said Ages 8+, but I knew the girls would be fine. 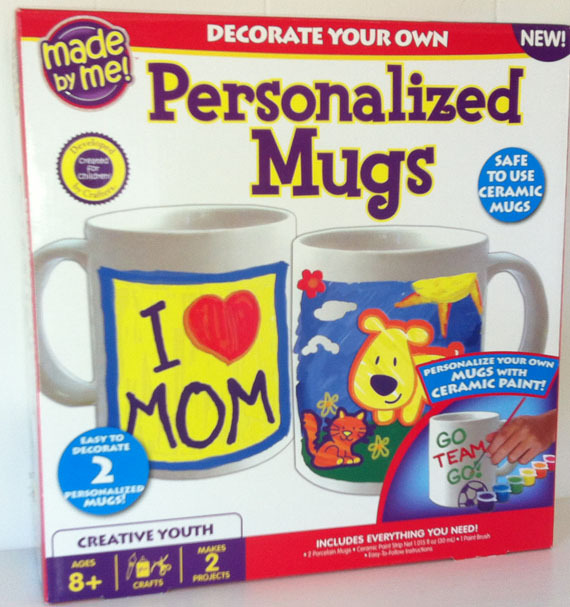 I knew their mugs would be more abstract then the examples given on the box. This kit is different than many that I have seen in the past because there is no baking involved. All you do is paint; let it dry; and they can be used. The paint will not come off in the dishwasher. And it is food safe. We have put ours in the dishwasher, but the girls opted to give the mugs to their dad for a pen holder. Anna and Addie loved this project and painted for about forty five minutes. 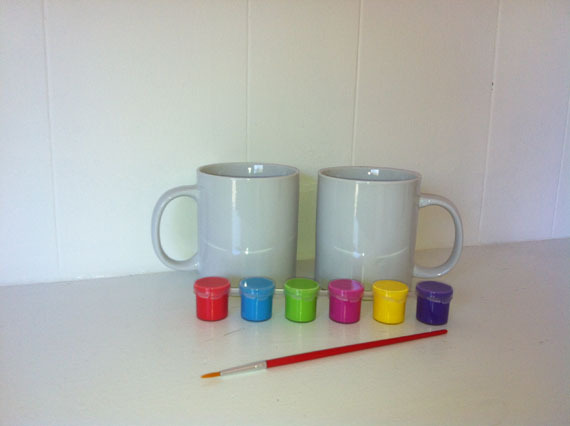 We were able to paint four mugs with only one tray of paint. I plan to use the leftover paint to put the kids' hand prints and names onto plates for a Father's Day gift. 1. Melt chocolate with butter and margarine in saucepan over medium heat. 2. Mix sugar, eggs (one at a time) and vanilla in large bowl. 3. Add chocolate mixture to egg mixture and stir well. 4. Stir in flour and chocolate chips. 5. Pour in 9x13 pan sprayed with cooking spray. 6. Bake at 350 for 20-25 minutes. Let brownies cool slightly. 7. Meanwhile, make the caramel topping. Unwrap caramels and place in microwave safe bowl, add the milk and microwave on high for 30 seconds. Stir the caramel mixture. 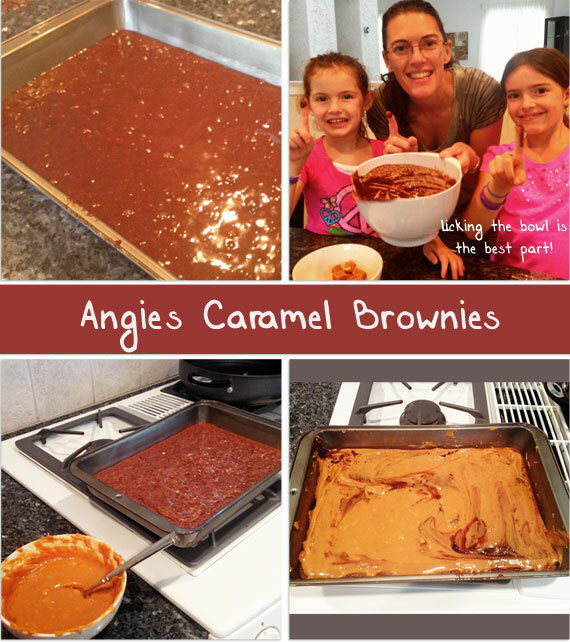 Repeat in 15 second intervals until caramel is melted. 8. Spread immediately on warm brownies. Let cool completely before cutting. 1. Melt chocolate chips in double boiler until smooth. 2. Add cream cheese and vanilla, stirring until uniform. Remove from heat. 3. Stir in cookie crumbs until thoroughly blended. 4. Shape mixture into one inch balls and roll in powdered sugar. 5. Cover and refrigerate eight hours or until firm, then roll in powdered sugar again. To store, refrigerate in airtight container. 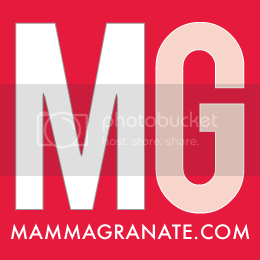 This is a guest post from our friend Dana. 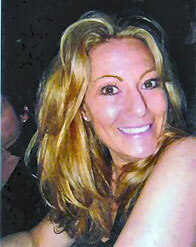 It was Angie’s upbeat attitude and love for life’s small indulgences that inspired the idea of Angie’s Spa. Angie’s Spa, a Cancer Foundation, is a 501(c)(3) charitable organization that funds FREE (in-hospital) massages and other integrative medicine services to men and women undergoing chemotherapy, radiation and surgery. These treatments are designed to counteract the side effects of medical therapies and alleviate the discomfort and pain from surgical procedures. They also provide comfort and relaxation during a tense time. We know that Angie would have loved the idea of doing something fun and special for a patient undergoing chemotherapy,radiation and/or surgery for cancer. Please take a moment to check out the website for this amazing organization. We wanted to do something today as a family that would honor Angie and her birthday. 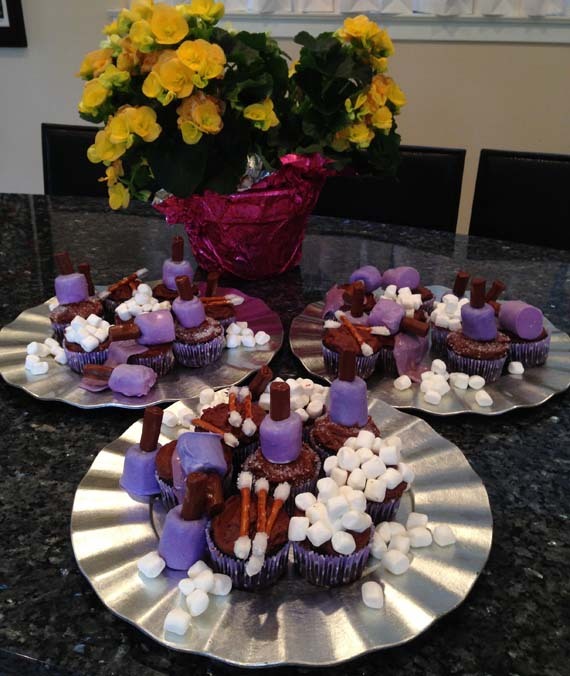 She loved to bake and while undergoing chemotherapy, she often brought baked goods to the doctors and nurses - namely her famous brownies and chocolate snowballs. 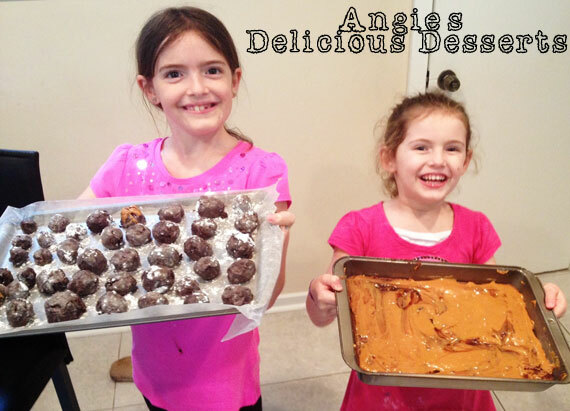 So this afternoon we are going to make these two delicious recipes, but more importantly we will have time together as a family to share stories about Aunt Angie. Keep an eye out for pictures and these recipes tomorrow! I promise they are amazing. It is so simple it might just work. I'll let you know how it goes after a few weeks. 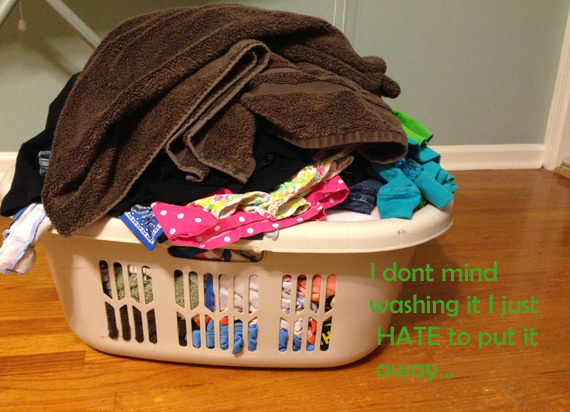 What do you do to fight the war against the never-ending pile of laundry? If you know me than you probably know that I'm obsessed with the UK. I studied theatre there back in college, made some amazing friends, and go back to visit them as often as possible. Our last trip there was just about a year ago with the whole family...excuse me while I reminisce! Okay, back. Every so often I do searches on Etsy for "union jack". I know, I'm a bit strange! 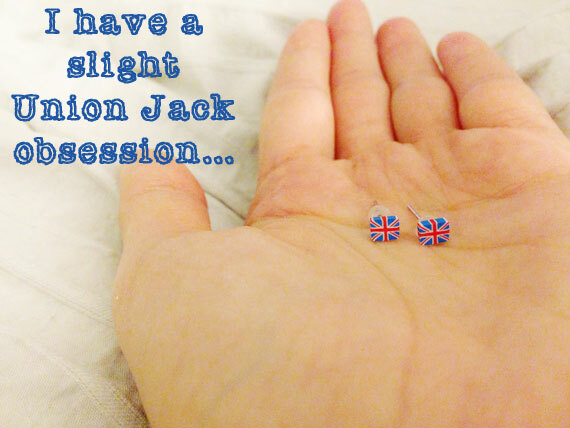 On one search I found the cutest Union Jack earrings for Maya. I put them in my cart and never purchased them. I do that quite a lot just so I can go back and oogle things that I want but aren't ready to buy. These earrings are so reasonably priced but I just didn't know what I would get them for, no birthdays or holidays as an excuse and she really didn't need new earrings. When Jared ordered my Mothers Day necklace he saw them in my cart and ordered them. They arrived yesterday and, on a whim, I tried them on. I didn't take them off for the rest of the day! While they were purchased for Maya we might will be sharing them! Check out the shop Small Grey Cat for all your adorable earring needs! As a parent you know that it is important to choose your battles with your children wisely. Does it actually hurt you if the plate they eat off is pink? No. Is it annoying to put the yellow one back and get out a pink one? Most likely. Is is worth a 30-minute temper tantrum resulting in child eating nothing? I say no. Maya is a listener. I was once talking about jewelery and said that I like when it represents the whole family not just mom and kids. I love my Kathy Lo necklace with just the kids but I also wear a bracelet with Chamilia charms which represent the birthstones of family member. 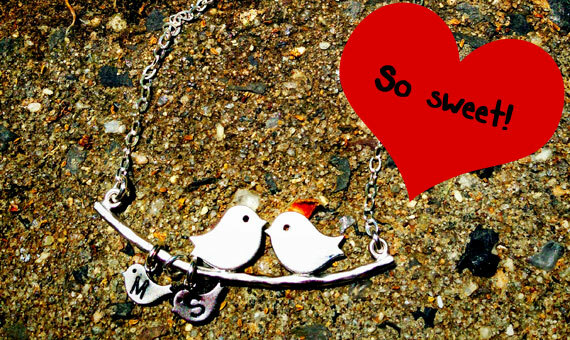 She took this into account and chose a necklace that had two parent birds and two baby ones. So cute! The shop, MegusAttic has all sorts of adorable (and a lot of bird related) jewelery. The shipping was quick, necklace packaged really nicely and I have gotten compliments on it; it's unique looking! The best part is seeing Maya so happy when I wear it and knowing that Jared helped her pick it out. I have mentioned my love for saving glass bottles for art projects. Anna and I decided to use on to make a glitter globes. We went to the playroom to find a "treasure" to put inside. After much debating she decided on this Giraffe. She has a recent fascination with these lovely and amazing animals. One day she woke us up at 3:00 in the morning to ask us what sound they make. If you don't know I found this page (not at 3:00 a.m. but the next day) which is quite informative! We recently went to the zoo and on the way home she declared that the Giraffes were her favorite. Don't you just love a visit from your parents, or in laws, for that matter? It's amazing what you can get done with two extra sets of hands. My dad and I have been working on a project, and my mom has been keeping the kids happy and cooking for everyone. Last night she made some stir fry, the usual onions, peppers, chicken, green beans, and brown rice. Now what to do with the leftovers? 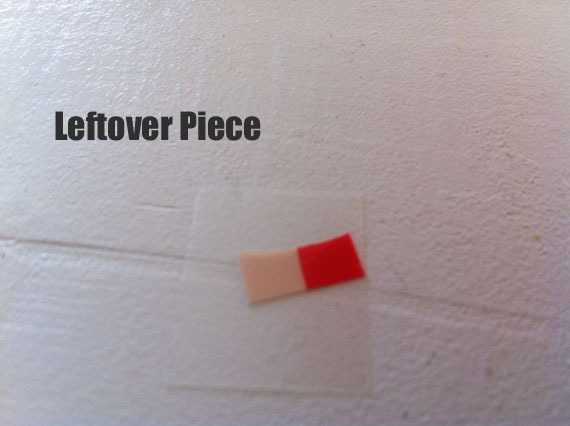 Well, no one in my family is crazy about leftovers, so my mom had a brilliant idea to reinvent them. I went to the store and picked up some won ton wrappers and canola oil. First, she laid a won ton wrapper flat and put the stir fry mixture (minus the rice) in the middle. Next she rolled it starting at one end. Fold the other side. Then finish rolling it. Be sure to use thongs to put it into hot oil (we used canola). Then they will need to be turned once. We dipped in Duck Sauce and Spicy Thai Chili Sauce (love). My kids love tea parties. They have several tea sets both for inside and outside. We have real tea parties with apple tea, and we have pretend tea parties with air and water (sometimes Addie forgets to pretend and drinks the water). When Anna was given this as a gift, I knew she was going to love it. The beauty of this game is it is so simple that Addie can also play it too. That is if we can get her to sit for thirty seconds. It is very adorable and well constructed and for ages 3 and up. 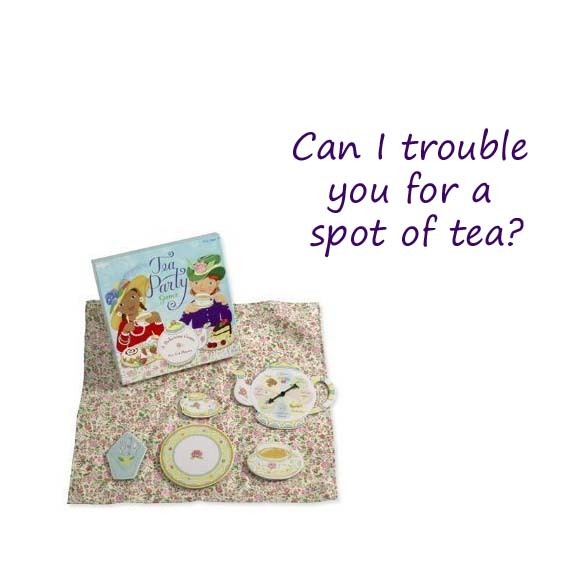 It comes with a tablecloth (super fancy), a tea pot spinner, and 4 cardboard sets of plates tea cups, utensils, sandwiches, desserts, and cream and sugar. Players take turns spinning the spinner. They must first collect a plate and then one from each of the categories. At the end there are no winners or losers. Just a cute little tea party! I am not a morning person. I do every possible thing to make life easier in the mornings. One thing I recently started doing was making my own pancake mix. All I have to do is add wet ingredients and plug in the griddle. The last time I made the mix I had Addie help me (Anna was on a trip with her dad). I measured out all of the ingredients into my batter bowl. Then I had Addie mix the dry ingredients up. Then she scooped them into a plastic storage container. To make pancakes, add 2 cups of pancake mix, 2 cups of skim milk, 2 eggs, and 2 tbsp of canola oil. I wrote the recipe to make more on one side of the container and the recipe to make the pancakes on the other side. The other awesome thing about making your own mix is you know exactly what you are putting into it (100% Whole Wheat Flour) and no Partially Hydrogenated Oil!! Dana put me in charge of coming up with a cute idea for the cupcakes. So I started to brainstorm. I knew she was planning on doing mani/pedi's, the flip flop craft and facials. I thought nail polish themed cupcakes would be adorable. 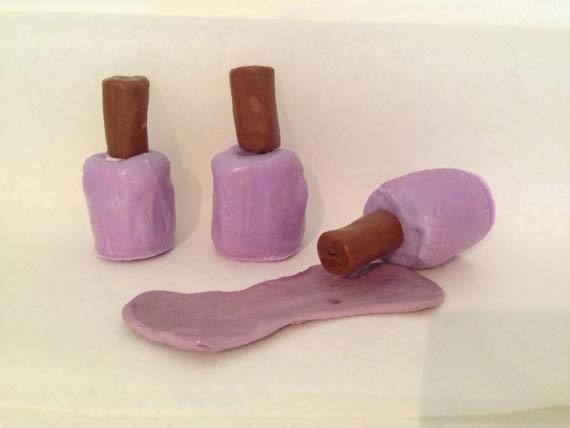 While researching this idea, I found a ton of cakes that were spilled nail polish. I discussed it with Dana and Sarah and we decided on nail polish, spilled nail polish, cotton balls, and Q-tips. 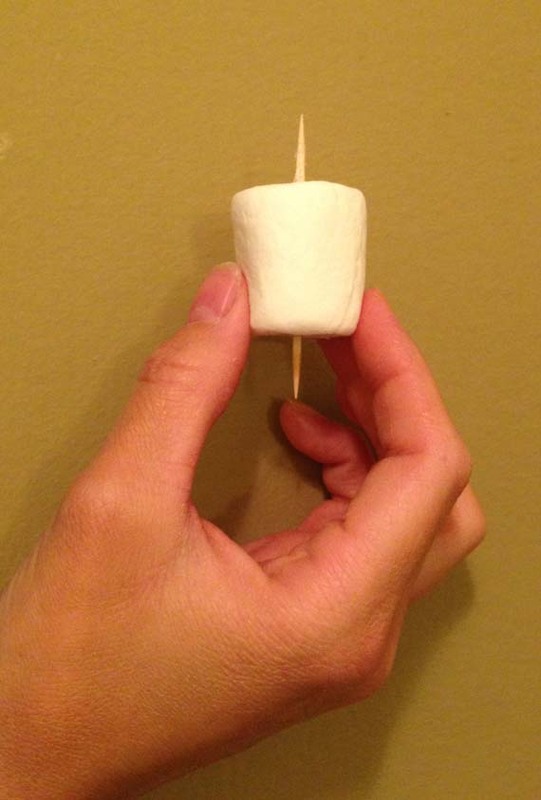 First we put a toothpick through a large marshmallow. Next we took the marshmallows and dipped them into white chocolate that we had colored purple with purple and pink gel food coloring. 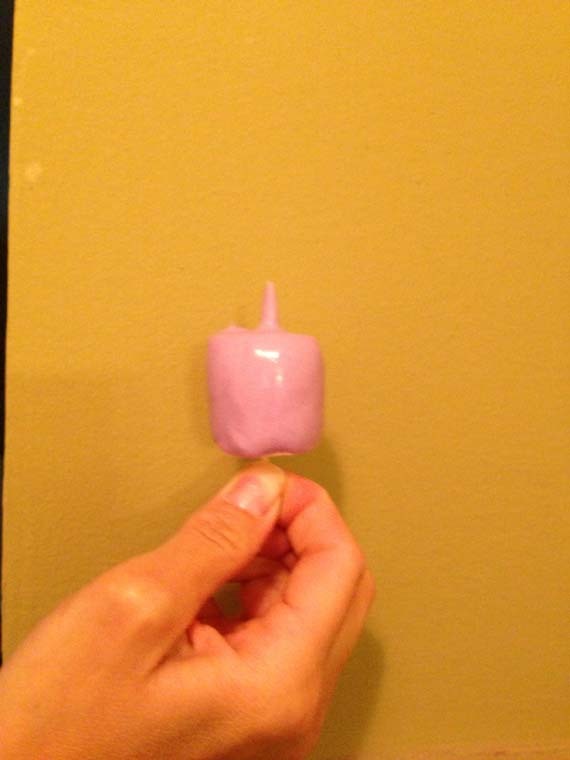 According to Grandma Rose, they sell purple chocolate, among other colors, at stores like Michael's and Joann Fabrics. She is so smart! She told me this after we made them, so I will try to remember this for the next time. 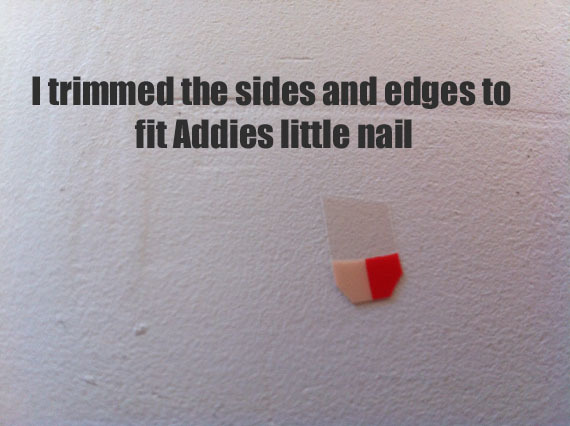 Also, we made the nail polish on two separate occasions. Both times the chocolate got clumpy or "seized up." Apparently if one drop of water gets into the melted chocolate it causes this problem. I googled, "Why is my white chocolate so lumpy/" and figured this out. Then I googled, "How to fix it (thanks Nicole, you are smart too)?" The answer: cooking oil. I used canola. I put one teaspoon into the melted choclate and stirred it up with a spatula; that fixed it. I was so happy! We used toothpicks to poke holes in the tootsie rolls, otherwise they are way to hard. 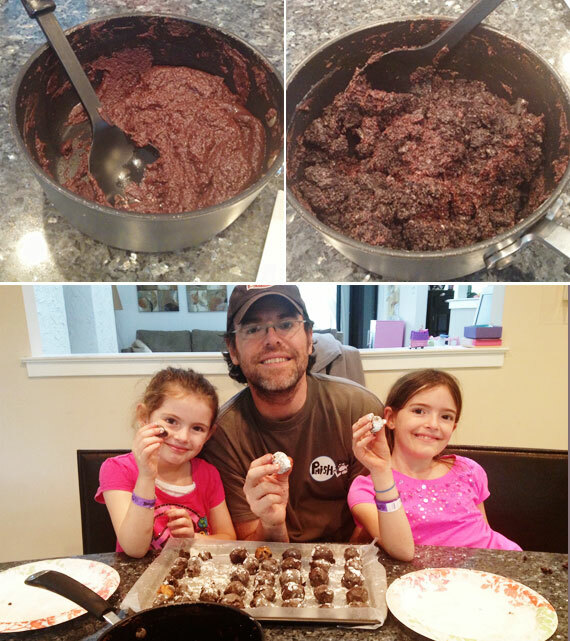 We decided to let the chocolate harden and then put on the tootsie rolls. Then we made the spills by melting Laffy Taffy in the microwave for 15 seconds. We mushed it around until it looked like a spill. When coloring the chocolate I tried to get it as close to the color of the Laffy Taffy as possible. For the Q-tip cupcakes we dipped pretzel sticks into white chocolate and then sprinkled clear sprinkles over the white chocolate. 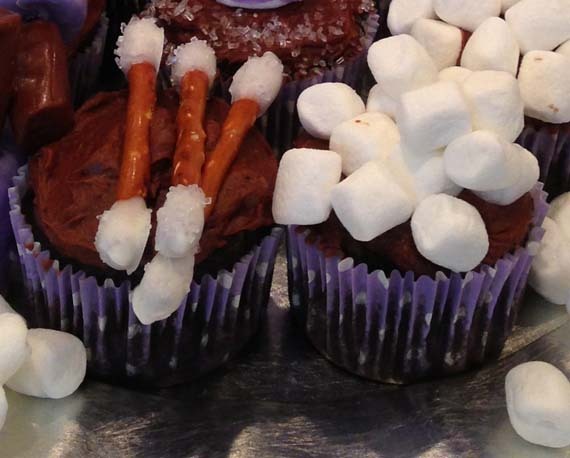 For the cotton ball cupcakes, we just crammed on as many mini marshmallows that would fit. Sarah used this Martha Stewart recipe for the chocolate cupcakes and this recipe for the frosting. 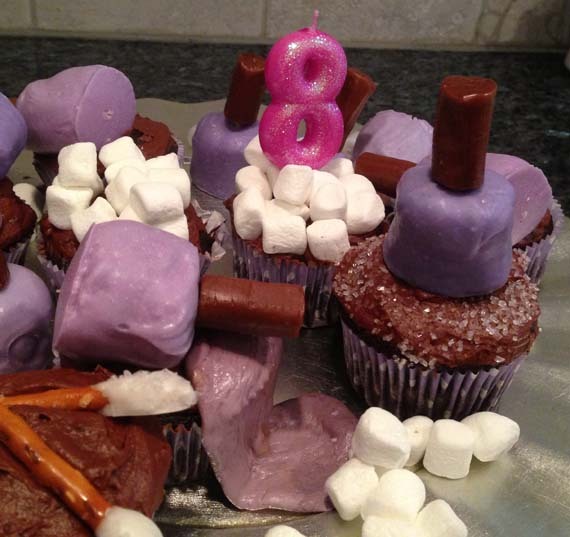 Sarah used a flat spatula to ice the cupcakes using this recipe. Then we placed the toppers on top. We were pretty happy with the result! The Birthday Girl loved them too. Happy 8th Birthday, Sage!